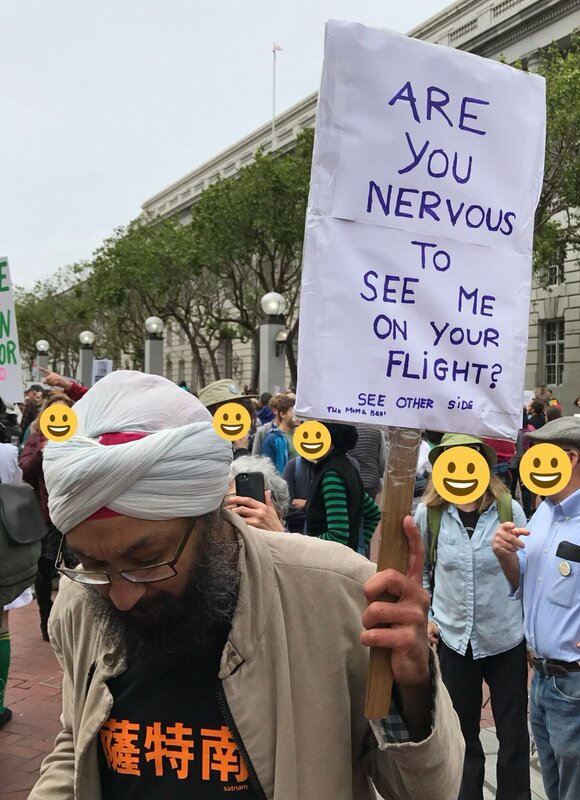 Sikh man takes on airplane prejudice with the ultimate protest sign. 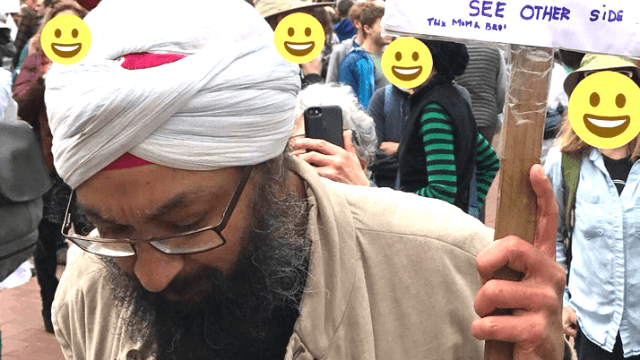 A Sikh man at the Science March on April 22 won the day with the ultimate sign—not about science, actually, but about racism. Sikhism is a religion that originated in India. Adherents, both male and female, wear turbans. The Sikh Coalition explains that the turban asserts "a public commitment to maintaining the values and ethics of the tradition, including service, compassion, and honesty." 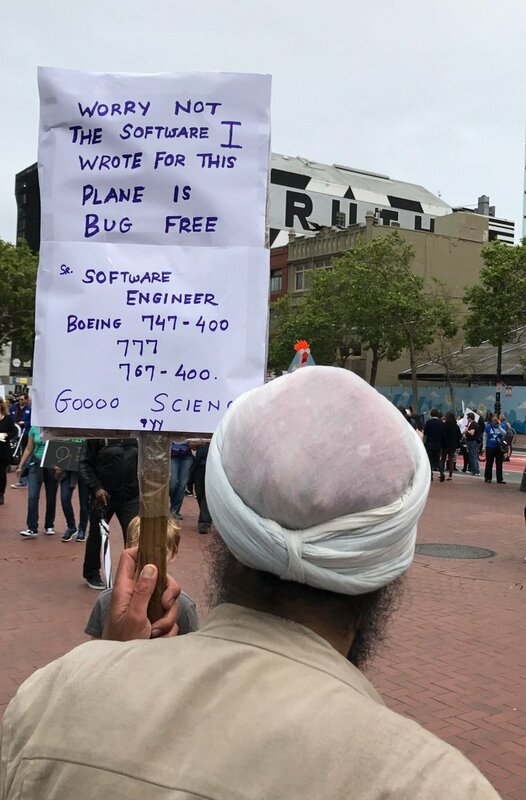 Computer scientist Sasha Aikin shared a photo of the clever protester, and while we don't know his name, we do know that we have him to thank for flying and not crashing. "Are you nervous to see me on your flight? See other side," Side A reads. "Worry not. The software I wrote for this plane is bug free." This guy is a senior software engineer for planes such as the Boeing 747-400 and 777. It's a perfect poster: a condemnation of prejudice and a celebration of science, both of which are much needed in Donald Trump's America. The sign went super viral, receiving over 37,000 retweets and 77,000 likes. Sikhs have been victims of hate crimes since in the decade and a half since 9/11, and have unjustly removed from airplanes because of the color of their skin. Along with Muslims and other religious minorities, there have been an uptick of incidents since the election of Donald Trump. Just last month, Deep Rai, a 39-year-old Sikh man in Kent, Washington, was shot in the arm, in what is being investigated as a possible hate crime. 48 hours since hate-shooting of Sikh man. Leaders from around the world have spoken. Here's to standing up for science and marginalized communities—with a Sikh sign to boot.